LAKME COLOR STAY advanced product line has been formulated with an acid pH in order to close the scales of the cuticle and protect the cortex from external attack. 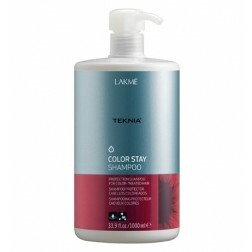 The combination with an active antioxidant extracted from sunflower seeds protects color-treated hair from the harmful effects of the sun and prevents loss of color. 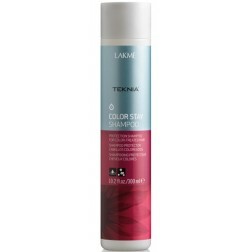 LAKME PROTECTIVE SHAMPOO gently cleanses, its acid pH closes the hair cuticle. 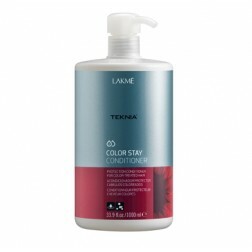 Prolongs color qualities and delays pigment loss. 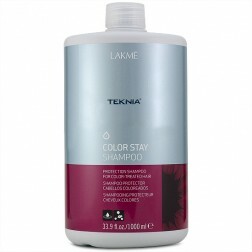 LAKME PROTECTIVE CONDITIONER conditions and moisturizes hair fiber. Its acid pH closes the cuticle. 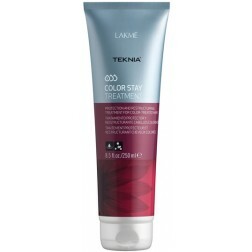 Prolongs color qualities and delays pigment loss. 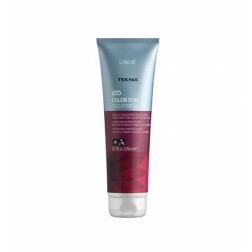 Detangles and softens hair. 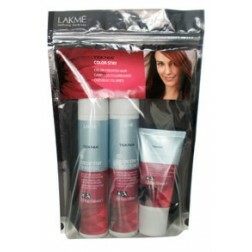 LAKME RESTRUCTURING TREATMENT moisturizes and repairs hair fiber. The long-lasting protection system prolongs color qualities and strengthens the cuticle. 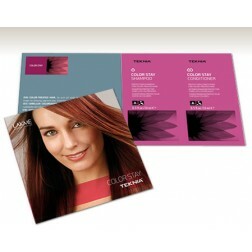 Leaves hair ultra shiny with vibrant color.